When Sir Purniah Narasinga Rao Krishnamurthy, the grand son of the great Purniah, also became a Dewan of Mysore in the 1890's he built this imposing construction with decorative parapets and the tower, which was named "Purna Prasad". I , my youger brother and several of my first cousins were also born there. There was a beautiful Anjaneya Temple also in that compound. 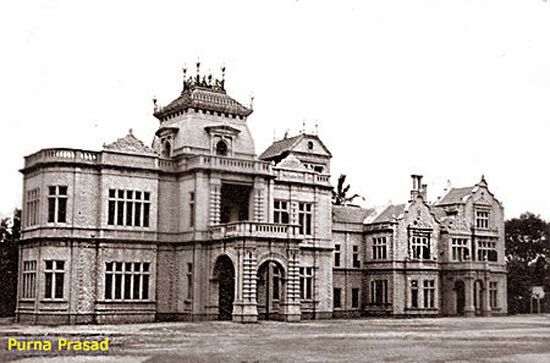 The Building also played its role as the residence of Lord Curzon, Viceroy of India when he visited Bangalore.